Auto Financing Made Easy at Gladstone Mitsubishi! Here at Gladstone Mitsubishi, we're passionate about helping people find and afford the vehicle of their dreams. We always price our vehicles at their lowest possible prices to make it easier for everyone to afford the new Mitsubishi or used vehicle they need. Since our prices are always so low, we don't need to haggle or offer special prices to help make our vehicles more affordable for our customers. Instead, we're here to work out easily manageable and inexpensive financing options on our entire selection of new and used vehicles, making it easier for anyone to drive home in a vehicle they want and need. Whether you have poor credit, no credit, or great credit, we're here to help you find and afford your dream vehicle; and with our personalized financing options, it's never been easier! We're committed to helping drivers from all over Milwaukie, OR, Portland, Tigard, Beaverton, and Vancouver, WA find and afford their dream vehicle. We offer a great selection of new Mitsubishi models, as well as, a tremendous variety of used vehicles, making it easy for anyone to find the car, truck, SUV, or luxury vehicle they're looking for. We have a team of financing experts who are here to work with you and figure out the most fitting financing option to fit your specific budget. We're happy to help everyone get behind the wheel of their dream vehicle, regardless of credit scores and financial history. We understand that many factors contribute to your financial history, and we believe that everyone deserves to drive a vehicle that fits their needs and lifestyle, as well as, their budget. 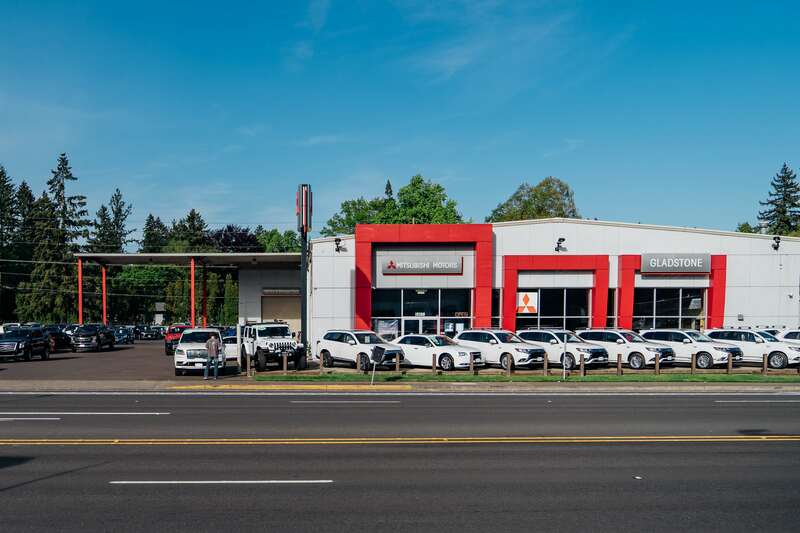 We welcome drivers from all over the greater Portland, OR area to come join us here at Gladstone Mitsubishi to check out our entire selection of new Mitsubishi models and used vehicles in person today. With such a wide selection of vehicles and such affordable prices and financing options, we're confident that we can help you drive home in the vehicle of your dreams today!